A bold look since they were first used by pilots nearly a century ago, the Aviator style of sunglasses are a force of nature. Developed to keep the sun out of pilots’ eyes after World War I, Aviator sunglasses were born cool and stay cool to this day. 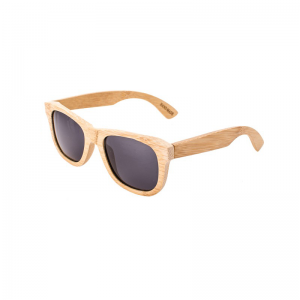 Ziba Wood’s all-bamboo frames feature a double bridge that securely connects the lenses and a familiar, comfortable shape that provides all-day comfort. These lenses are a staggering departure from the worn-out all-metal Aviators that can be picked up at any corner gas station. 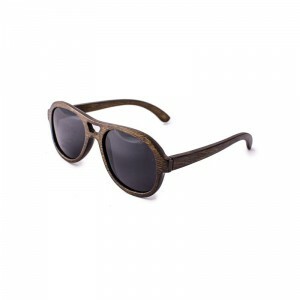 Unique, all-bamboo construction provides a stunning shift in style that brings a past generation’s go-to shades into the internet age. 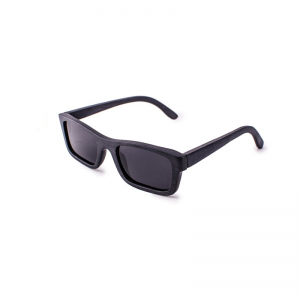 The polarized lenses used on these frames provide an extra level of protection that filters out glare and harmful UV rays from the sun. A bold look since they were first used by pilots nearly a century ago, the Aviator style of sunglasses are a force of nature. Developed to keep the sun out of pilots’ eyes after World War I, Aviator sunglasses were born cool and stay cool to this day. 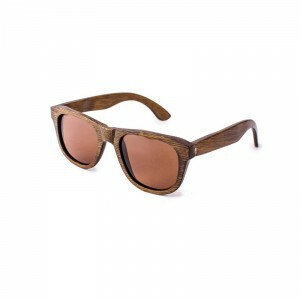 Ziba Wood frames feature a double bridge that securely connects the lenses and a familiar, comfortable shape that provides all-day comfort. These frames use a plastic and wood construction that provides a stunning shift in style that brings a past generation’s go-to shades into the internet age. Available styles: Dark smoke lenses with black frames and dark brown wood temples, amber gradient lenses with tortoiseshell frame and light brown wood temples, smoke gradient lenses with black plastic frames and medium brown wooden frames, black smoke lenses with black plastic frame and black wood temples, amber gradient lenses with black plastic frames and dark brown wood temples. These wood and plastic frames use multiple species of trees to provide a variety of wood grain appearance, feel and color. 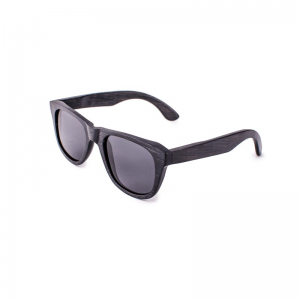 These durable plastic frames are available in either tortoiseshell or black styles and come complete with lenses that are tinted brown or black. 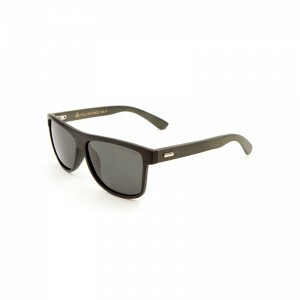 The unisex design uses large lenses that will help you keep your eyes on the prize. 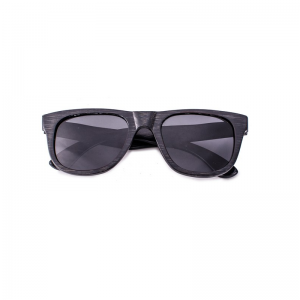 These lightweight wooden sunglasses are designed with a classic style that is sure to fit into any wardrobe. 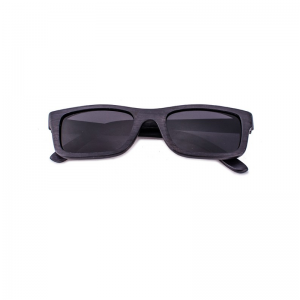 The polarized lenses used on these frames provide an extra level of protection that filters out glare and harmful UV rays from the sun. 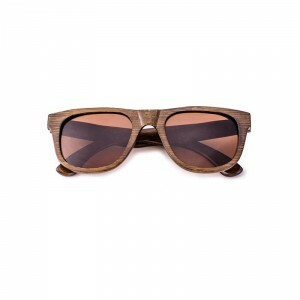 Available styles: Gun-metal polarized lenses with black plastic frames and medium brown wood temples, gun-metal polarized lenses with black plastic frames and dark brown wood temples, amber polarized lenses with tortoiseshell frames and light brown wood temples, amber polarized lenses with black plastic frames and dark brown wood temples. A cool classic, Wayfarer-style frames have been worn by trendsetters and mould-breakers for decades. 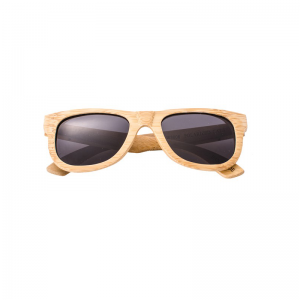 Ziba Wood eyewear continues a tradition of innovation with all-bamboo Wayfarers that put a brand new spin on a time-proven style. Light, strong and comfortable bamboo construction means these frames won’t bend, break or fall off your face. 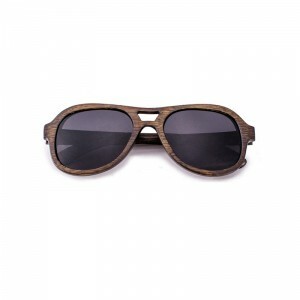 Made from African kosso wood, these all-wood, unisex medium frames will suit the style of any wearer. Durable kosso wood is prized for its strength and resiliency. Kosso wood even has medicinal properties and is used in some cultures to treat fever and cough. Not only that, the versatile wood is used to make djembe drums that fuel music made by beatniks and the Bambara people of Africa alike. © 2016 Ziba Wood. All rights reserved.